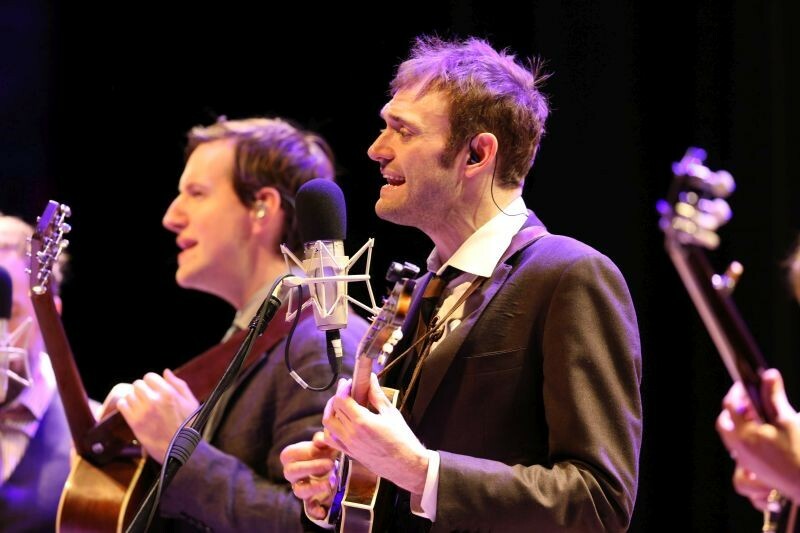 The thing that will surprise you the most about the Punch Brothers when you see them is that there’s not one member who steals the show or stands out more prominently than the others. Though each member has a different approach to stage presence and the physicality of their performance, each player has equal opportunity to leave the audience completely awestruck. That’s exactly what happened at the Trustees Theater on March 30 when Chris Thile and company took the stage right around 7:45 for their triumphant return to the Savannah Music Festival. One would think that Thile, something of a household name these days in the roots music world, would be the star of the show. Of course, his otherworldly mandolin skills are a sight to behold, and his talent is beyond measure. That goes without saying unless you’ve never heard of him. However, his bandmates in the Punch Brothers are equally as skilled and the absolute precision in their playing as a unit makes it so that it feels like there is no true bandleader. Their collective brilliance was evident right off the bat, with the group launching into “Movement and Location,” a masterpiece of sorts that Thile revealed was written about baseball player/former Atlanta Brave Greg Maddux. The band’s entire set was an energetic exploration of their diverse and musically evolved catalog, which includes everything from Celtic-influenced roots instrumentals and infectiously catchy pop melodies and complex, mind-bending progressive compositions. One particular highlight was “Just Look At This Mess,” a song from the band’s most recent offering All Ashore, which sounds as close in flow and rhythm to a neo-soul song that a band like the Punch Brothers might ever get. Pikelny made sure to throw in a quick Savannah joke mid-set, saying that the band thought there were lines out the door for their show since 11 A.M. - only to realize that the line they saw was for Leopold’s next door. The realization, he joked, crushed the band’s spirits. “We’re working through it,” he added.